You have made the decision to try teaching mindfulness in your classroom. What do you do next? 1- Take the time to consider your own mindfulness. 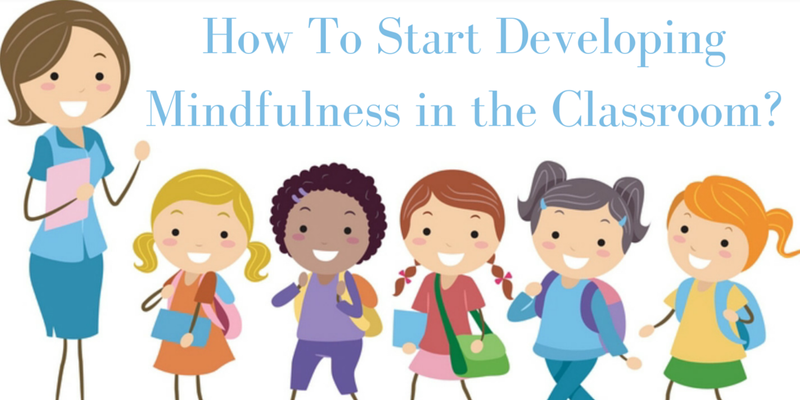 My personal action research shows that the greatest impact in the development of a child’s mindfulness is the development of the teacher’s mindfulness. This doesn’t mean you need to be an expert. But, it does mean even a rudimentary understanding of how it supports your own well being will allow you the experience to explain it to children. Have a look at the posts Teacher and Leader Mindfulness or take the #MonthOfMindfulness Challenge. These are great starting points. Also, follow me on this blog, on Twitter, @Ed_Tmprince, and/or on Facebook, https://m.facebook.com/educationsvoice/ . I post lots of ideas to support adults and children a like. 3- Choose a couple of mindfulness techniques you feel comfortable with, introduce them to your class and start using the. Have the strategy be part and parcel of your classroom practice. Practice it when they are calm and encourage its use when they are not. My suggestion is that the first strategy taught and used on a daily basis is the breathing as this forms the basis of several strategies. Basic deep breathing is an easy strategy to teach and encourage through regular classroom practice. I also suggest about 30 minutes of mindful practice a week which comes to 6 minutes a day. I also suggest that there is at least one guided meditation per week. 4- As you and your class get comfortable, add in new strategies. 1- This is not a one off. You have to keep at it every day. Some teachers see immediate change and some take a few weeks. This is not a race. These are life long skills that requires a remodelling of thought processes and reactions. 2- Not every strategy will work with every child. That is ok! You will find the same with yourself. If it doesn’t seem to work, move on to a new strategy. 3- Be very clear about the strategies you are teaching them and why. Explain what you are doing and explain the science of it as well. Encourage them to support each other and YOU when they see upset, anger, sadness, anxiety, etc. 4- Let others working with your children know that when they are in the classroom, you are using these strategies and encouraging their use. It can seem a little odd or even naughty to see a child take themselves off to a quiet area, shake a glitter bottle (mind jar) and start doing deep breathing. 5- Let the children see YOU being mindful when required! Modelling the strategies when YOU need them is very powerful! 6- Mindfulness should be taught to a class as a whole and not just to vulnerable groups of children. ALL children need these life skills and when they see it is just a normal thing to do, they will all start doing it and it will have the impact you desire. 7- If all else fails, you need support, want training for yourself or your school or you want to share your successes, contact me through this blog, via Twitter @Ed_Tmprince or through my Facebook page, Education’s Voice- Mindfulness at https://m.facebook.com/educationsvoice/ . Now, take a deep breath and give it a try!